The Detroit Red Wings have established the group they’ll be sending to Traverse City for this year’s NHL Prospect Tournament. 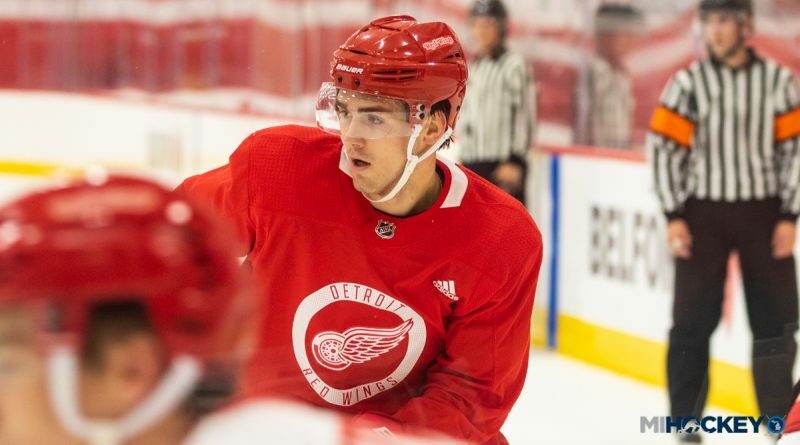 First-round selections Filip Zadina, Michael Rasmussen, Joe Veleno and Dennis Cholowski headline the crop of young Red Wings talent. Names like Vili Saarijarvi and Givani Smith will return for the 2018 edition, while West Bloomfield native Alec Regula will participate in his first tournament. Twenty-one players who skated for the Red Wings during the 2017-18 season participated in the tournament during its 19-year history, while 597 players have moved on from the tournament to play in at least one NHL game. The NHL Prospect Tournament takes place Sept. 7-11 at Centre Ice Arena in Traverse City. In addition to the Wings’ prospects, those from the Carolina Hurricanes, Chicago Blackhawks, Columbus Blue Jackets, Dallas Stars, Minnesota Wild, New York Rangers and St. Louis Blues will all compete for the Matthew Wuest Memorial Cup as champion of the tournament.